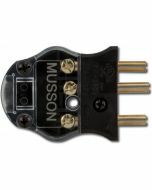 Overstock means we have a limited supply at this price. 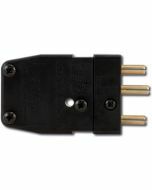 Probably the most common type of theatrical lighting connector we sell. 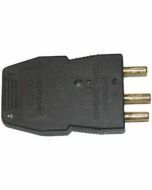 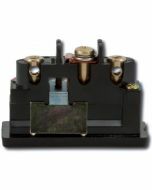 We call it a Stage Pin connector but it's also known as a Grounded Stage Pin, GSP, 2P&G, Two Pin and Ground, or Bates connector.